9784063217551 - ???????? ?W 1 (????????) by ??? ?? ?? ?, 1996. Comic. Very Good. Disclaimer:A copy that has been read, but remains in excellent condition. Pages are intact and are not marred by notes or highlighting, but may contain a neat previous owner name. The spine remains undamaged. 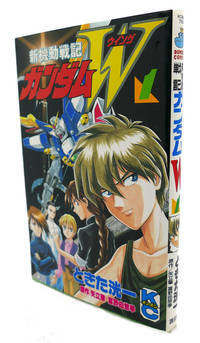 GUNDAM WING, VOL. 1 Text in Japanese. Japanese import. Japan: Kodansha. First Edition; First Printing. Softcover. 4063217558 . Very Good+ in wrappers. Clean, bright pages. Japanese import. ; 6.69 X 4.41 X 0.39 inches; . 2001-08-08. Good. Ships with Tracking Number! INTERNATIONAL WORLDWIDE Shipping available. May not contain Access Codes or Supplements. May be ex-library. Shipping & Handling by region. Buy with confidence, excellent customer service!